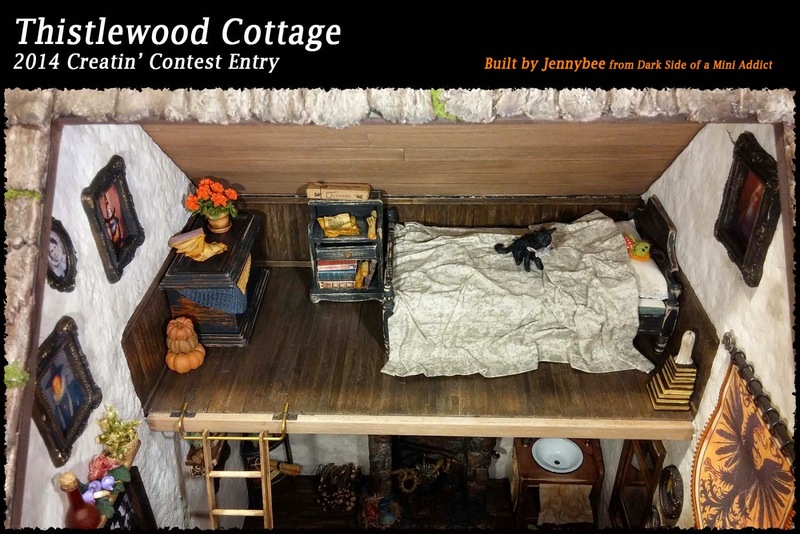 I wanted to share with you all my Creatin' Contest 2014 build held by miniatures.com. 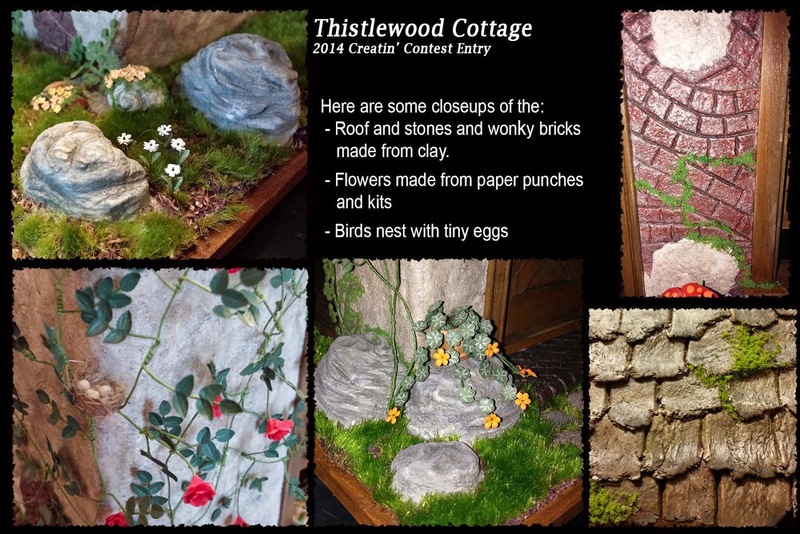 Introducing Thistlewood Cottage. As you may know I like to try different things and this year without a doubt I went all out on this one. 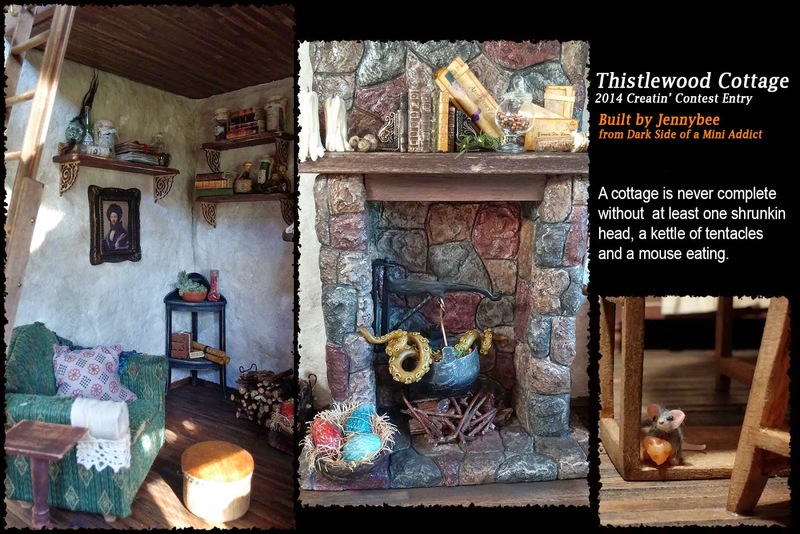 The inside and outside is all done in air dry clay including the stones and fireplace. If you want to see the photos larger just poke the photo. Lots of things I made like the shelves, vegetable basket (including the veggies), flowers, furniture, blanket, and some things were recycled and redone or from kits.There are even a few things from friends like the kitty, mouse eating cheese and the shrunken head! Ooh how I love these. I hope you like my build and if you have any questions please ask. I am happy to share. Thanks for looking and good luck to all those who entered this year. 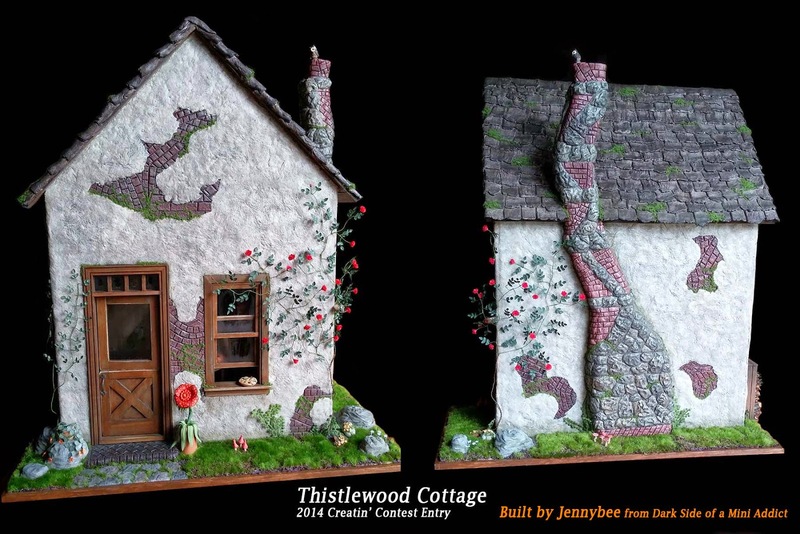 If you want to see my dear friend Jane's entry The Elven Bowery pop on over to her blog here. I love your house. You made an awesome job. I wish you luck at the contest. Love your amazing build Ms bee!! Oh the details are so wonderful, everything is cozy and looks so real, did I mention I lovooooved your bottles! Thanks ladies!! 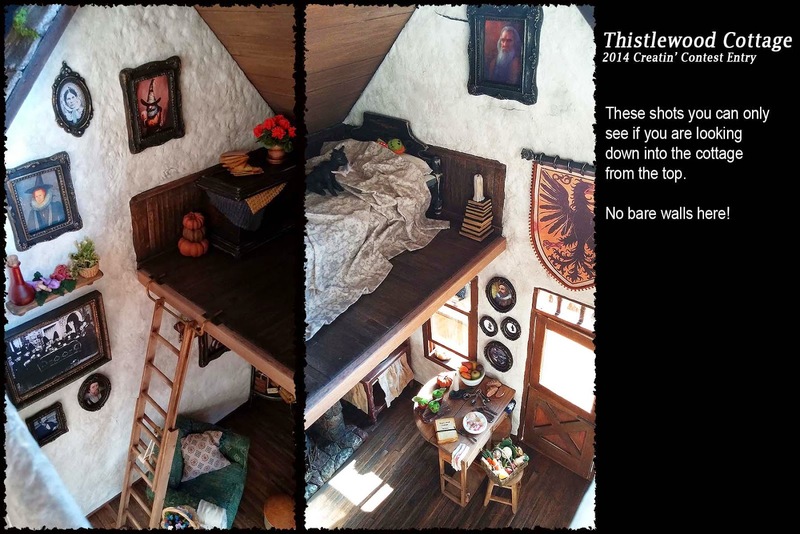 I really loved this build even though sometimes it was all like nanna nanna boobooo... Its people like you Miss Jane that helped me along and that pesky cat and shrunkin head. Yeah I am blaming them too! 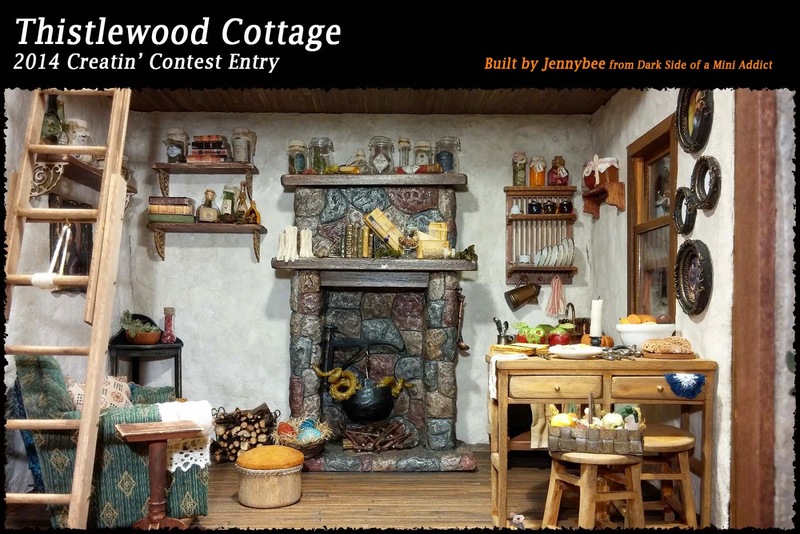 Espero que tengas muchas suerte en el concurso aunque no la necesitas porque has hecho una casa preciosa.